If I were a grown up cheetah, I would protect my young. I would run very fast. I would live in the wild. I would have 7 cubs. 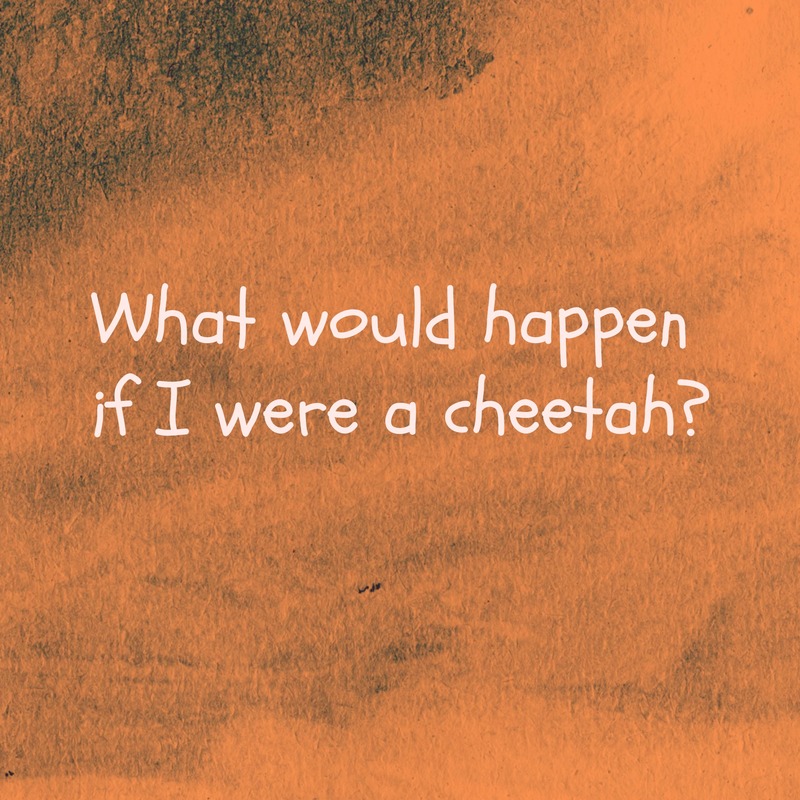 I would protect the cheetahs from being one of the endangered animals. Cheetahs are my favorite animal. What is your favorite animal? Just imagine being a cheetah! Imagine all the wonderful things! If I were a Cheetah I would most of the time be perched on a rock. And sometimes go and hunt. Every day she comes up with newer ideas and things that she loves. I’ll have her sit down and write something about being an archeologist soon… I’ve been waiting for a picture to go with this post, but decided to publish as is instead… otherwise we might be waiting for my very busy girl to find time and draw it.